BEIJING (Sputnik) – China is calling for a comprehensive and impartial investigation into the alleged chemical attack in the Syrian town of Duma, Spokesman for the Chinese Foreign Ministry Geng Shuang said on Monday. "We oppose any use of chemical weapons by any country or individual under any pretext. Regardless of where and when chemical weapons were used, such actions are unacceptable. Concerning the recent incident in Syria, we are calling for a comprehensive, impartial and fair investigation," Geng told a briefing, asked about China’s stance in the UN Security Council on the issue. Geng said that China supported the key role of the UN Security Council and the Organization for the Prohibition of Chemical Weapons (OPCW) in settling the Syrian chemical issue. "We also hope that all the parties will demonstrate a constructive approach and promote a solution of the issue via consultations, as well as stimulate efforts toward a political solution to the Syrian crisis," the spokesman added. Earlier in the day, nine out of 15 members of the UN Security Council urged for the convocation of an emergency meeting to discuss reports about the alleged attack in Duma, which reportedly killed dozens of people on Saturday. Russia is convening a separate meeting of the UN Security Council later in the day to discuss threats to international peace and security. 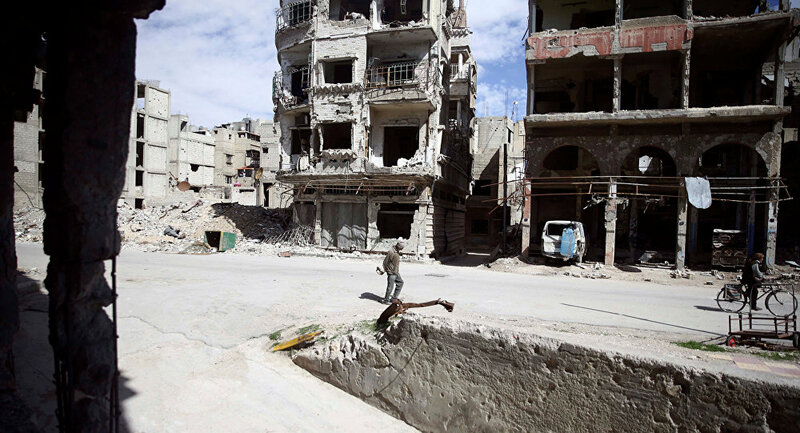 On April 7, several media outlets, citing Syrian militants, accused Damascus of using chemical weapons in Duma. US President Donald Trump accused Russia and Iran of supporting Syrian President Bashar Assad and therefore being responsible for the alleged attack. Syria’s SANA news agency reported, quoting Syrian officials, that these allegations were merely a provocation by the Jaish al-Islam group and other militants to prevent the advance of the Syrian government’s army. The Russian center for Syrian reconciliation has refuted the reports about the use of chemical weapons in Syria and expressed its readiness to deploy chemical protection specialists after the full liberation of the area to prove the fabricated nature of these statements. The head of the center has characterized the allegations as an attempt to hinder the process of withdrawing Jaish al-Islam militants from Duma.